Ankylosing Spondylitis is an inflammatory arthritis. Also known as AS, Ankylosing spondylitis is an inflammatory arthritis that predominantly affects the spinal joints. It can be subdivided into two distinct categories. Ankylosing spondylitis where changes to the sacroiliac joint and the spine can be noted on an X-ray. And non-radiographic axial spondyloarthritis, where no changes can be noted on an X-ray, but you have the symptoms. Inflammation occurs where the ligaments or tendons attach to bone, which is known as enthesitis. This is followed by a process known as enthesopathy, which is when the bone wears away where the tendon or ligament attaches due to the inflammation. When the inflammation reduces, healing starts, and new bone is developed, resulting in the elastic tissue of tendons and ligaments being replaced by bone. This leads to movement becoming restricted. This process gets repeated, which leads to further bone formation, leading to vertebrae to ultimately fuse together. The fusing of the vertebrae makes the spine inflexible and generally will result in a hunched forward position. This in turn may also affect the ability to breathe deeply. AS can also cause inflammation, pain and stiffness in other joints, such as the shoulders, hips, ribs, heels and joints in hands and feet. Back pain and stiffness. The onset will be slow and gradual and would occur over weeks or months, rather than hours or days. Early morning stiffness and pain, which may reduce during the day with movement. Pain and stiffness will last for more than 3 months. Improvement in pain and stiffness after exercise and worse after rest. Weight loss (more in early stages). Feeling feverish and experiencing night sweats (again more in early stages). Onset of symptoms is generally between the ages of 17 and 45 but can also occur in children much younger or much later in life. Unfortunately, the cause of AS is unknown at this stage, but it is known that genetics does play a key role in this disease, as well as some sort of environmental factor triggering the disease in genetically predisposed individuals. A ‘genetic marker’ called HLA-B27 can be found in 85% of people with AS, however, one does not have to have the HLA-B27 marker to have AS. With that said, many people with the HLA-B27 gene never even develop Ankylosing spondylitis. Currently there is no cure for AS but there are some treatment options available that would help relieve symptoms. Medications: Your GP or rheumatologist will prescribe you a combination of medications to help reduce pain, stiffness and inflammation. This might need to be altered when you are experiencing a flare-up. Medications may vary from analgesics (painkillers), non-steroidal anti-inflammatory drugs (NSAIDs), corticosteroids, disease modifying anti-rheumatic drugs (DMARDs), nerve pain medications and anti TNF therapy. Exercise: Daily exercises and stretching routines are of high importance. 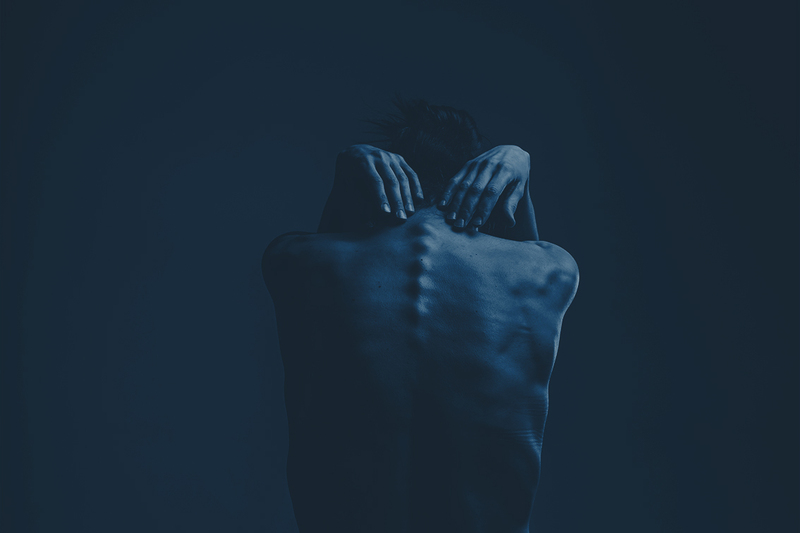 This will remind you to be aware of your posture as well as maintaining or improving your range of movements in your joints, particularly in your spine and hips. It is important to strengthen your muscles as lack of movement may weaken them, and to stretch muscles that might have shortened. Cardiovascular exercise is also important as it will help improve chest expansion, decrease fatigue and improve sleep. Swimming or aqua therapy is a great choice, as you will also experience less strain on your joints. Contact sports and high impact sports should be avoided as much as possible. Other treatment options include physical therapy (massage/manipulations), and applying heat/cold to help relax muscles to reduce joint pain. In severe cases posture-correcting surgery might be necessary. Keep an eye out in the next week for safe exercises you can do in the pool or CONTACT US for a private session!